With an ear for the tunes and an innate understanding of what works on the dancefloor M.A.N.D.Y. are on a seemingly never-ending circuit of the globe with their in-demand DJ sets. From their first meeting as 15-year-olds on a tennis court, the 2 young men who dreamed of making a career of music, parties and having fun have come a long way, and are now well & truly at the top of their game. 2008 has been the penultimate year for M.A.N.D. culminating in 2 of their most memorable DJ sessions: one at the helm of UK club Fabric's esteemed mix CD series, and the other at the rain-drenched Love Parade in Germany, where they played live for 500,000 music lovers who refused to run for cover from the wet and continued dancing in the streets for the awestruck M.A.N.D.Y. boys. In between these gigs and their residencies with Monza in Ibiza and Berlin's Watergate club M.A.N.D.Y. also managed to fit in extensive tours of North & South America, and a new track with Booka Shade for Get Physical's GPM100 release, plus working on a new remix for Felix Da Housecat and long-awaited new M.A.N.D.Y. material with Lopazz in Iceland, and launching Get Physical sister labels Kindisch and Get Digital to accommodate the sheer amount of great records they want to release. Patrick Bodmer & Phillip Jung have carved out a unique niche for themselves in electronic music off the back of excellent productions, in-demand remixes, top-notch mixing skills, and a knack for signing some of the best electronic producers alongside their friends DJ T and Booka Shade for their label Get Physical Music, and it's a story that has been 20 years in the making! After being introduced to the sounds of early acid house in the late 80's in Saarbruken, Germany, Patrick & Phillip's lifelong obsessive love for electronic music began; they threw themselves into the music, buying records, driving to Frankfurt's parties and raves, and DJing at friends' afterparties. After going to university in separate cities Phillip & Patrick had both moved to Frankfurt by the mid 90s, where their DJ dreams were reignited, but with the major hurdle that nobody wanted to book them. Philip & Patrick overcame rose to the challenge by starting their own club night. It was a memorable and liberating time for the pair, and their guests - Ata, Ricardo Villalobos, etc - were talented unknowns at the time who only contributed to the fresh & spontaneous vibe of the club. To keep the money rolling in to fuel their nighttime pursuits, Patrick had established himself in a successful painting career and Philipp worked for Logic Records, label of italo-house outfit Snap. After taking up a new job in A&R with Jive Records, Philip signed tracks by longtime producer friends Walter Merziger and Arno Kammermeier, who produced under a variety of aliases and would eventually become best known as Booka Shade. Walter and Arno taught Philipp and Patrick a few tips in the studio, and the four began producing what they now admit were a string of dire hard trance releases under a name they refuse to divulge! The next chapter of the story was set in motion at a Bread & Butter fashion show in Cologne where M.A.N.D.Y. 's DJ set caught the interested ears of Monza club's Patrik Dechent and DJ T, also the founder/editor of the highly influential German music magazine Groove. They could hardly miss M.A.N.D.Y. 's enthusiasm, or their extremely ?physical' presence on the dancefloor, stamping their feet and tearing at their clothes in sheer delight about the music. DJ T and MANDY took an instant liking to each other and T invited them to be a resident at Monza, playing sets alongside fellow residents Tobi Neumann, Ricardo Villalobos, Tiefschwarz and Steve Bug. After M.A.N.D.Y. & Booka Shade both relocated to Berlin in 2002, forming a record label seemed like the natural next step for the 5 friends (including DJ T), as the crucial pieces of the puzzle had fit themselves together: Philipp's record label and A&R experience, Arno & Walter's production talents and fully-equipped studio, Patrick's creativity and artwork, T's envious contacts book and wealth of press knowledge. So the label was born, and they christened it Get Physical in tribute to the dancefloor,. What began as a hobby for the 5 people behind Get Physical quickly gathered steam after the label's first release, M.A.N.D.Y's Put Put Put 12? : the following year their track ?Tonite' blew up in the UK when Pete Tong selected it as the Essential tune of the week three times in a row for his BBC Radio 1 show. With the release of the first Get Physical compilation Body Language Vol 1 in 2005, M.A.N.D.Y. raised the bar high for house and techno lovers, and cemented their reputation as world-class selectors. They joined the dots between electro-influenced house, disco and minimal techno for a release that was crowned DJ Magazine's Mix CD of the Year. 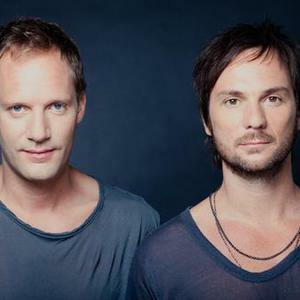 However it was the joint effort of MANDY and Booka Shade that pushed both their artist names and the Get Physical label into the international dance music consciousness: the track ?Body Language? quickly became a bonafide hit, the undisputed anthem of the year and ubiquitous on dancefloors, in charts and in record boxes for months after its release. ?Body Language? was named Ibiza's Track of the Season, DJ Magazine's Track of the Year, and was licensed to over 100 compilations. The staggering success of ?Body Language? led to Get Physical receiving the accolade of Best Label for 2005 from DJ Magazine. This was followed up in 2006 with At The Controls, a double CD mix for Resist Music which picked up a host of awards, including Mix CD of the Year from Resident Advisor, BBC Essential Mix and Mixmag. Philipp and Patrick's reputation as remixers grew, working with artists as diverse as The Knife, Tiefschwarz, Sugababes, Lindstrom, Joakim, Royksopp and Fischerspooner, The Klaxons, Mathew Dear, Rex The Dog, Royksopp, Roxy Music, and Rocker's Hi-Fi; a reputation solidified with the 12 Great Remixes for 11 Great Artists collection of 2007 that brought together some of their finest efforts onto one disc. Through all the parties, the ladies, the extensive traveling, M.A.N.D.Y. nonetheless treasure the family vibe that influenced them as artists and DJs and that continues to support them in Berlin. For M.A.N.D.Y. this isn't a job and it isn't about success; it's about partnership and friendship, good music, and those five things which bonded them in the first place: collecting records, throwing parties, meeting girls, making friends and laughing?